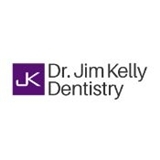 Dr. Jim Kelly Dentistry (Phoenix) - Book Appointment Online! Our goal is to provide remarkable dental care in a safe and comfortable environment. Dr. Jim Kelly Dentistry is based in the heart of Phoenix, Arizona and focuses on world class state-of the-art dentistry. We have the knowledge, tools and technology to improve your general health, smile and demeanor easily and comfortably. We create brilliant smiles that radiate happiness, excitement, health and vitality. We believe good dental treatment is no dental treatment. We start with education on oral health. You can trust our team to help you look and feel your best.